Complete the Organisation Contacts and Requirements form. Email your IT Team to give them the go-ahead to work with us (please CC support@vocaleyes.org into your email). Complete the IT Setup Information form. – We will then create your VocalEyes groups and send you your widget codes. Install your widget on a test page on your intranet/website and check that it’s loading. – It should initially be inactive and say ‘Coming Soon’. Provide us with a link to the test page and dummy login details so that we can check Single Sign On is working for you. Move your VocalEyes widget to a prominent place (e.g. top right) on your users’ homepage. 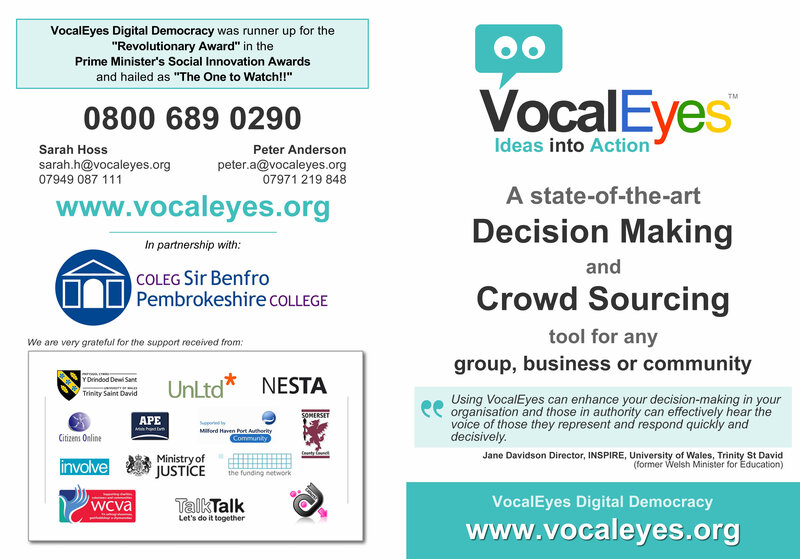 Decide who will be the VocalEyes Coordinator for each group and contact us to arrange training for them. Agree a ‘Go Live’ date with VocalEyes. – We will arrange quarterly VocalEyes strategy meetings with your Management Team. On the ‘Go Live’ date, review content as users begin to participate. – We will activate your widget on the day and assist you with initial admin support. Join the VocalEyes User Group to give us feedback, ideas and stay up-to-date. – We will arrange fortnightly Development Support calls with your VocalEyes Coordinators.